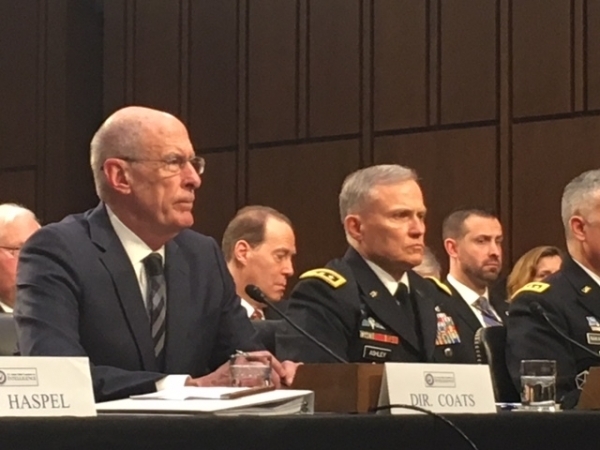 The portions relating to the regional security scenario in South Asia in the report titled “Worldwide Threat Assessment” by the US intelligence community presented to the US Senate Select Committee on Intelligence in Washington on January 29 make grim reading. The excerpts are self-explanatory and shouldn’t really come as ‘breaking news’ because many thoughtful Indian commentators have written about the likelihood of the Indian democracy taking such a tragic trajectory in the immediate months ahead as the Bharatiya Janata Party galvanizes its bid to retain power and rule India for another five years. However, what makes the DNI report significant is that this is not an intellectual cogitation but a considered assessment made on the basis of hard intelligence inputs by the various US agencies operating in India. Of course, the DNI is the fountainhead of the American intelligence community with almost seamless resources to penetrate foreign countries and their elites. And here, the DNI director Daniel Coats, who is the US’ intelligence czar, is reporting to the American lawmakers mandatorily. Simply put, in the US assessment, India is heading for a dark tunnel through the next few months as the BJP accelerates its election campaign. Election gimmicks are nothing new in Indian politics. But if a calibrated attempt is made to trigger inter-communal violence to polarize the voters, this time around it can take an apocalyptic turn. The DNI report warns, “Increasing communal clashes could alienate Indian Muslims and allow Islamist terrorist groups in India to expand their influence.” That is to say, given the backdrop of the ascendancy of forces such as the Islamic State, there are grave implications for regional and international security as well. To be sure, this is an appalling state of affairs if the ruling party deliberately triggers communal tensions to improve its electoral prospects. Paradoxically, the BJP, which roots for a strong India, is actually weakening India’s national unity and fragmenting the Indian society, undermining decades of mammoth efforts since independence to forge national integration. How did things come to such a pass? The heart of the matter is that Modi government’s track record in power is abysmally poor. Modi campaigned in the 2014 poll by presenting a development agenda and projecting his capacity to offer clean and efficient government. He projected himself as a modernizer and a performer who gets things done. He offered to create a large number of jobs for India’s restless youth numbering tens of millions. But he failed to deliver on his pledges. Besides, the Rafale scam, domonetization, agrarian crisis, etc. highlight a picture of venality and corruption and utter of lack of sensitivity to the grim realities of Indian life and have tarnished Modi’s public image. The BJP leader and Nitin Gadkari hit the nail on the head when he said three days ago that politicians who sell dreams to the people and fail to fulfill them get “beaten up” by the public. No matter Gadkari’s intentions in saying so, it becomes an apt description of the BJP’s dilemma today. This dilemma was very much in evidence during Modi’s last two visits to Kerala in quick succession within the month, when he was careful not even to remotely invoke his 2014 development agenda. Instead, he chose to give tutorials to his Malayali audience on the history and culture of their native homeland. This is precisely what the DNI reports warns against – that Modi’s campaign for the 2019 poll may be stressing “Hindu nationalist themes” and his acolytes might take the cue from him to resort to violence against the minority communities. The extraordinary thing about the DNI report is that it was compiled over months but has turned out to be so prescient. The move by the Modi government to approach the Supreme Court for the return of excess land around the disputed site in Ayodhya to the “original owners” precisely fits the paradigm outlined in the DNA report. The US intelligence appears to have effectively penetrated the Hindu fundamentalist organizations that mentor the BJP and the Modi government. Of course, we will never know what DNI director Coats would have said in his in camera briefing to the American senators regarding the shenanigans of India’s Hindu nationalists. At any rate, it is damning indictment of India’s ruling party when it is perceived as a threat to regional security and as a blot on Indian democracy.